The magnificent five-inch f/17 refractor shown on the left was made by the Lohmann brothers in Greenville, Ohio, about 1920. The Lohmann brothers imigrated from Germany around 1890. In their shop, they built wagon wheels, bicycles, and did general wood and metal-working, as well as repair. 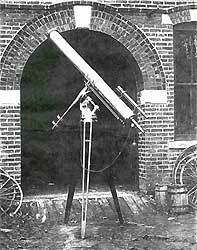 At some point, they developed an interest in telescopes and began building both reflectors and refractors. 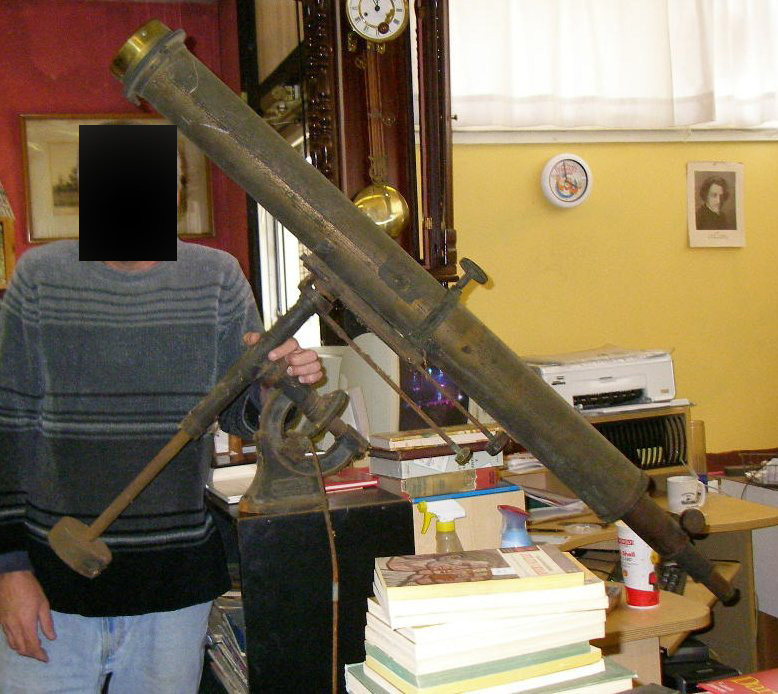 The largest known example has a 12-inch diameter objective lens (this lens was made by Alvan Clark, not the Lohmann brothers), and was owned by famed astronomer Leslie Peltier. The remains of their shop can be seen in the Garst museum in Greenville Ohio, which contains three very poor examples of their work. Unfortunately, the museum owns none of the incredible refractors built by the Lohmann brothers. In spite of this, the museum is well worth a visit to see the remains of the Lohmann's optical shop, as well as the incredible display of Annie Oakley and Lowell Thomas memorabilia (both were from Greenville, Ohio). See The Garst Museum home page. Negatives of twelve finished telescopes are kept at the Garst Museum. The location of only a few of the Lohmann telescopes are known today. One is being used at the Dayton Museum of Natural History in Dayton, Ohio; one at the Mahanshi International University in Fairfield, Iowa. One is on display at Eastern Kentucky University in Fairfield, Kentucky. Miami University in Oxford Ohio now houses the 12-inch Lohmann refractor with the Clark objective, the telescope once owned by Leslie Peltier. 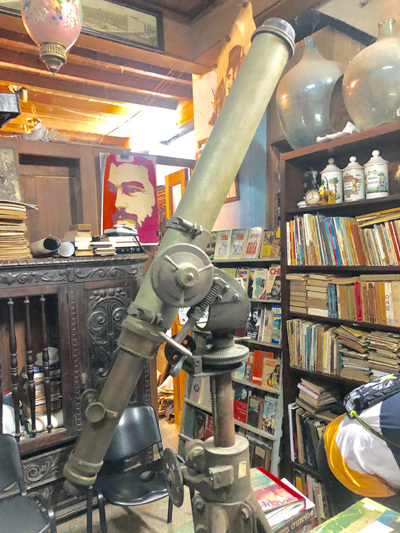 The Insights Museum in El Paso, Texas, has a 9-inch Lohmann Brothers refractor, which was made in 1904 in Greenville, Ohio. 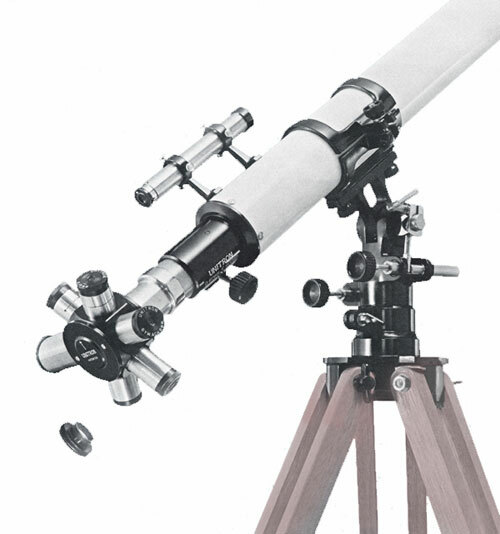 The refractor was first installed at Parsons College in Iowa. After the school closed, the telescope passed into private hands; it was eventually owned and refurbished by a Dr. Ron Maddison. The Insights Museum acquired it from him in 1998. The museum is currently down-sizing its collection and looking for a new home for this telescope. Interested buyers may contact Mandy Chew, the museum's director. 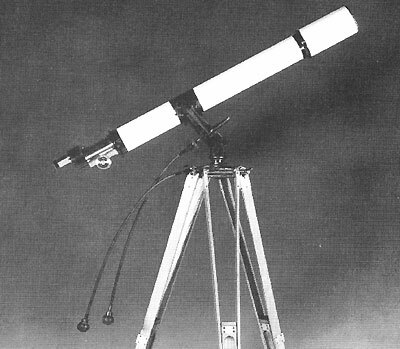 Fort Hays State University, Hays, Kansas owns a 10-inch Lohmann refractor. It is mounted atop Albertson Hall, and is used by the University and the local Astronomy Club. The photo at left shows the wind-up German clock drive (cover removed) that allowed the scope to track objects through the heavens. It still works perfectly. 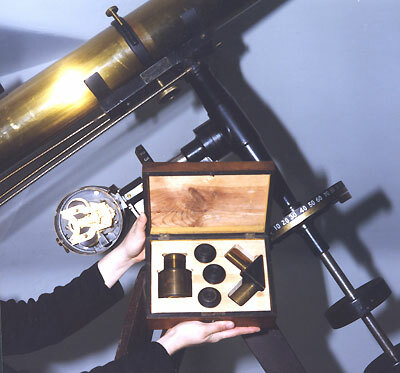 The wooden box contains four eyepieces and a prism diagonal. According to observers who have used this telescope, it still gives magnificent views of the planets. The long focal length of f/17 should yield sharp images with little color, as long as the lenses were ground properly. The black and white photo at the upper left was taken outside the Lohmann brothers workshop about 1920. If anyone has any more information about the Lohmann brothers or about Lohmann telescopes, please email me at vintage_56 at fuse dot net. Another Lohmann telescope has surfaced! In August of 2010 I received this photo. This 4-inch refractor (photo on right) was found in Battle Creek Michigan and is being lovingly restored by its owner. The Citadel, the Military College of South Carolina, constructed an observatory in 1852 to house a 7-inch telescope acquired by mathematics professor Mathew J. Williams. The telescope was used in class sessions up to the Civil War. In 1867 the telescope was stolen, and the building was vandalized. 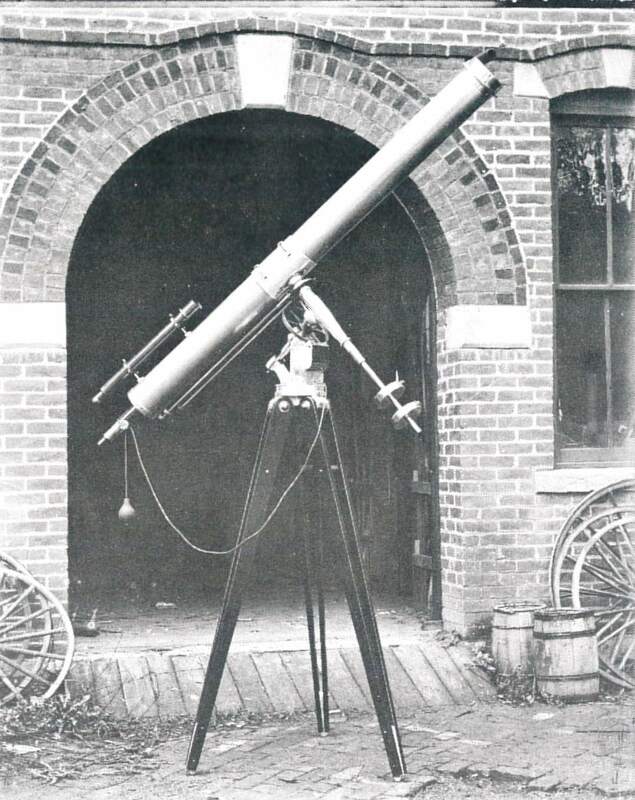 The University purchased a 7-inch Lohmann refractor to replace it in 1913. Lohmann Brothers, Greenville, Ohio, 1916, advertisement in Scientific Monthly 2, 'Refracting and reflecting astronomical telescopes; standard and portable; visual and photographic objectives. Pike, Gary. The Lohmann Legacy. Journal of the Antique Telescope Society 4 (Spring 1993) 4-6. 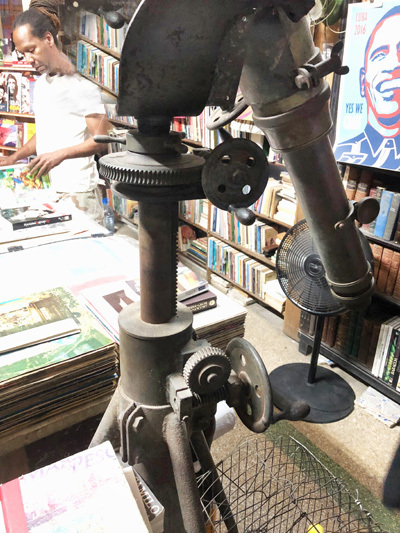 In December of 2018 I found this ancient refractor in an antique shop/bookstore in Havana Cuba. It appears to be mostly iron with a 3-inch objective and no eyepiece. There was no name or inscription anywhere on the scope. It had three slow-motion gears so I am guessing it was used for astronomy and not as a "harbor scope" or terrestrial scope that would not have required all the gearing. Unitron began selling refracting telescopes in 1951. Many of us remember seeing the ads in magazines like Sky and Telescope, Popular Astronomy (which ceased production in 1951), Popular Mechanics, and others. 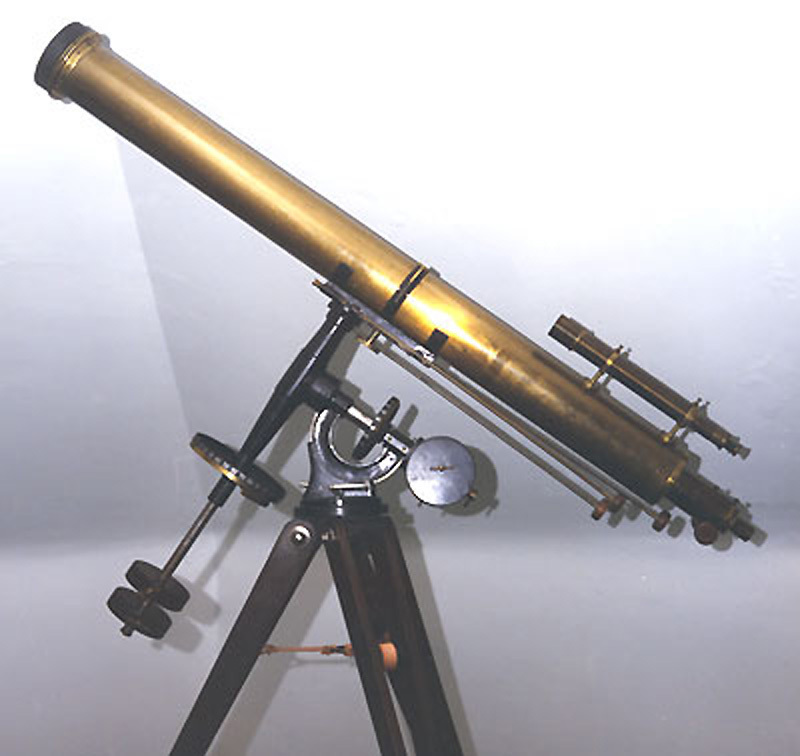 These telescopes typically had a long f-ratio, usually around f/15, and were considered to be the one refractor to own if you were a serious amateur astronomer. Many schools also purchased these instruments. Since the model numbers remained unchanged through the years, it is easier to evaluate them. Unitron refractors continue to bring a high price and a high number of bidders on ebay. They have steadily increased in value and make a fine investment as well as a fine observing instrument. .
Carl Zeiss had originally limited his company to the production of microscopes and accessories. When he died in 1888, Ernst Abbe, his partner, took over and began to diversity the product line. His main interest was prism binoculars, measuring devices, and photographic lenses. Max Pauly joined the firm with experience in telescope construction, especially observatory instruments. The firm of Zeiss began developing large telescopes for commercial use. They were manufactured in the plant at Jena, taken apart, and reconstructed in the customer's observatory. In the 1930's Zeiss was manufacturing refractors of extremely high quality with both achromatic (partially color-corrected) and apochromatic (more fully color-corrected) triplets. In 1935 Zeis developed and patented an anti-reflection coating which remained a military secret until about 1940. In 1948, after the liberation of Germany by the allies, Carl Zeis Jena was reorganized under the direction of the East German government and produced microscopes, measuring instruments, and astronomical telescopes. Zeiss telescopes are difficult to catalogue. A particular 80mm telescope with an alt-azimuth stand, fitted wood storage case, and accessories might carry the name "Asestaron", while the same telescope on another mount would carry another name. Nonetheless, any small or large telescope bearing the name Zeiss is extremely collectable today. For a more complete history of the Zeiss firm see Zeiss history.